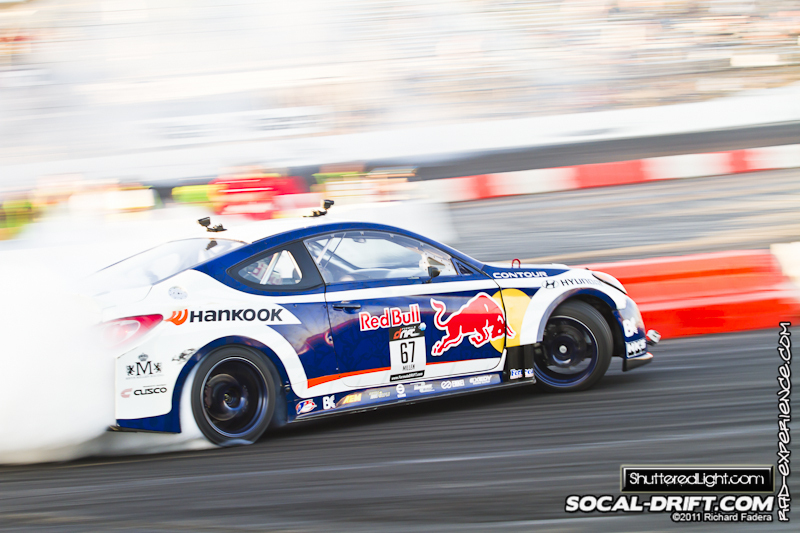 Formula D: Title Fight was the last round of the 2011 season. 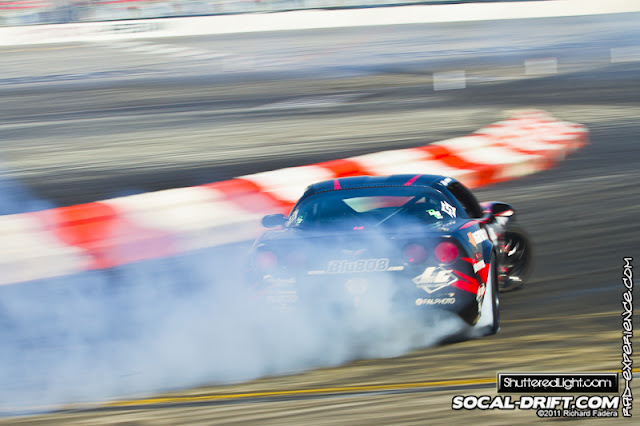 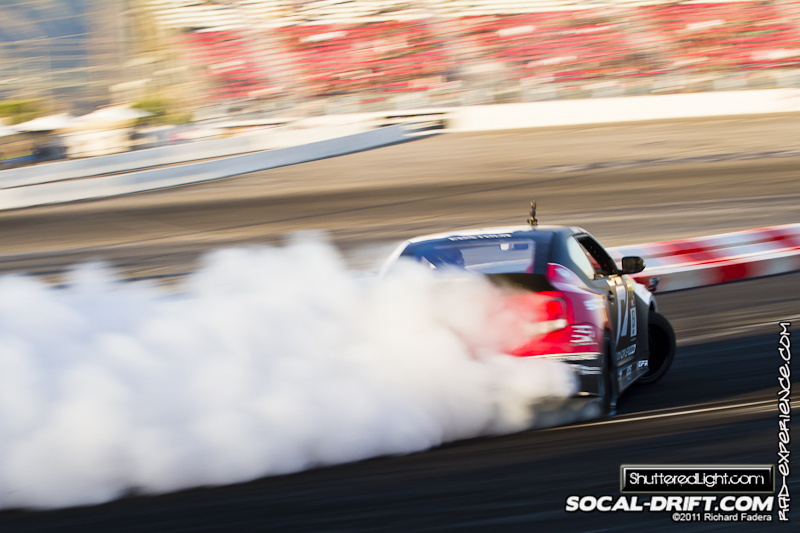 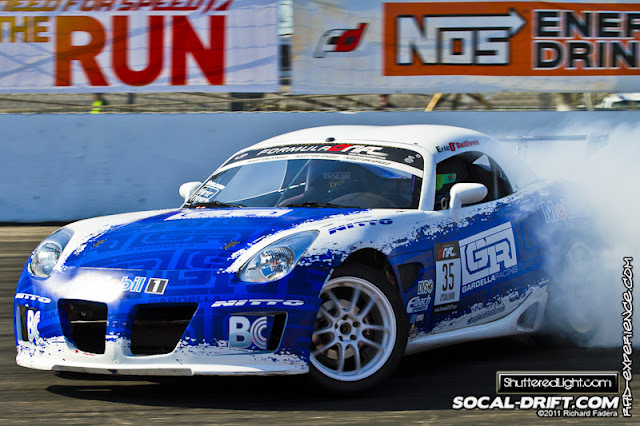 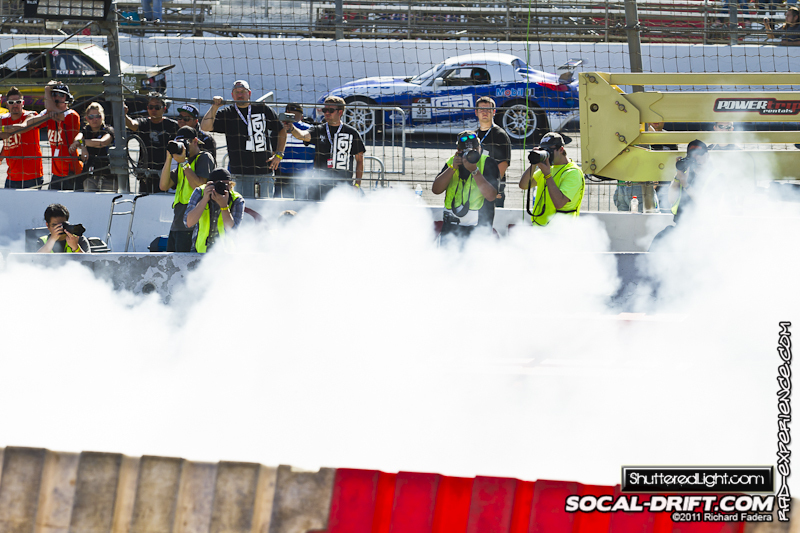 It was held at the "House of Drift" - Toyota Speedway in Irwindale on Oct 7 & 8, 2011. 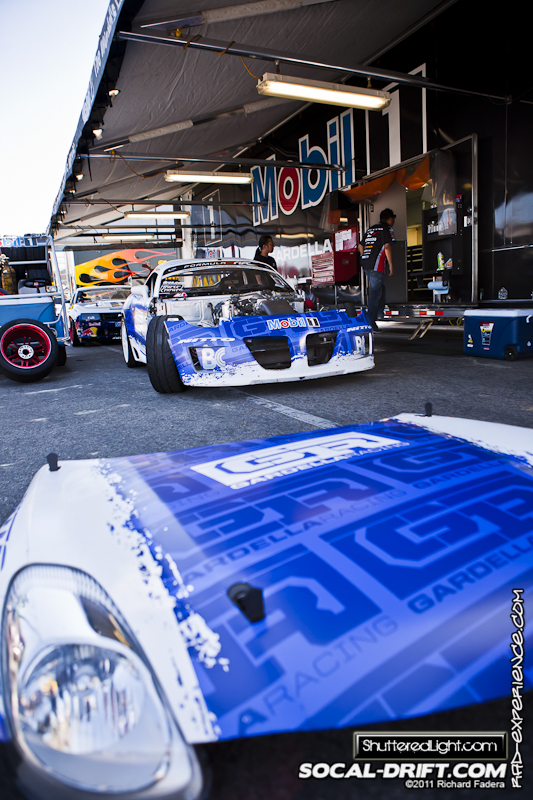 Drivers and their machines and fine tuned for the last event of the season. 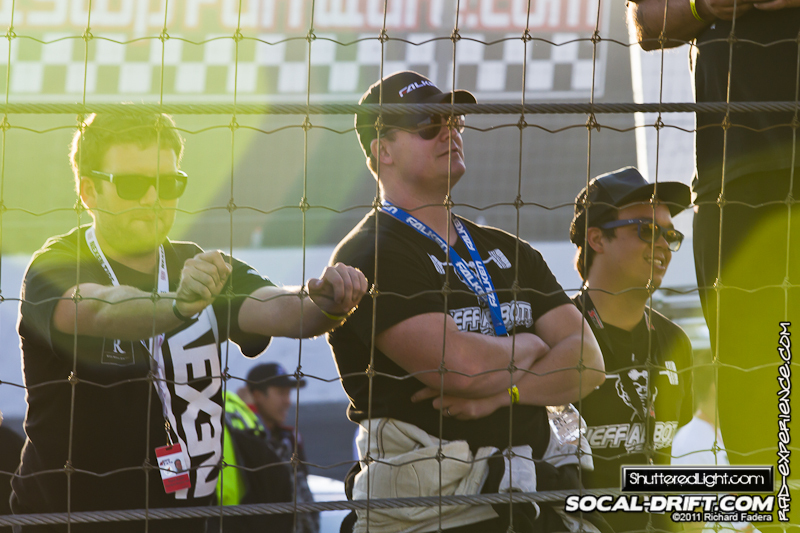 As well as the media. 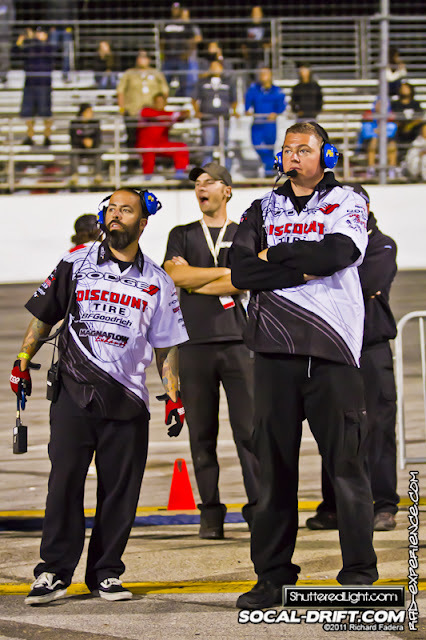 DMac getting pieces of advice from his crew. 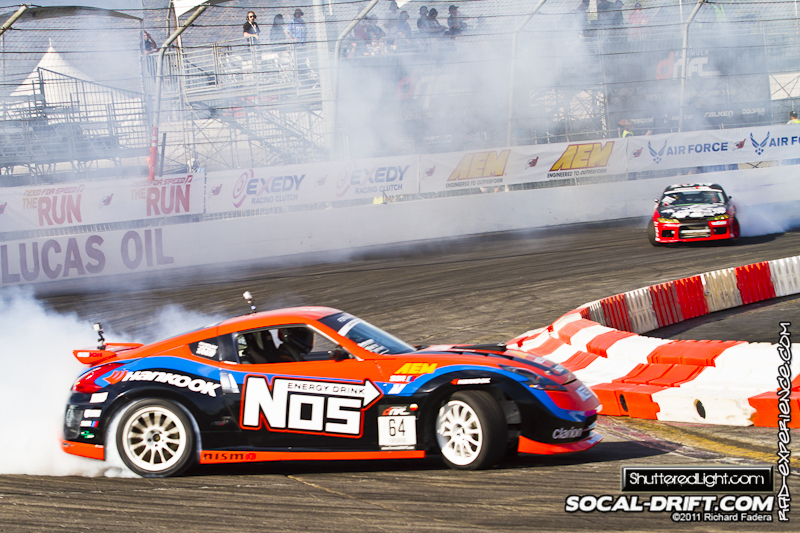 Chirs Forsberg in his NOS powered Nissan 370Z. 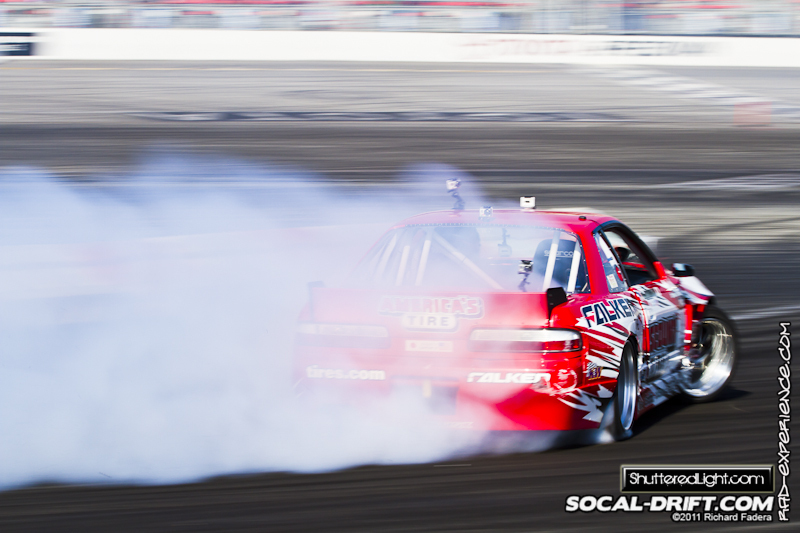 Matt Field in his Fatlace Nissan S14. 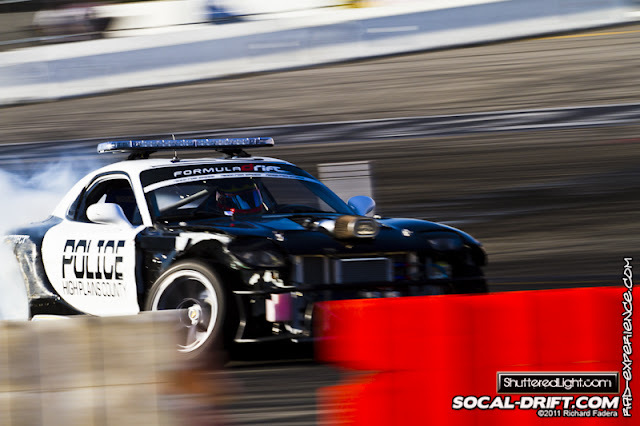 JTP - Justin Pawlak in his Falken Ford Mustang. 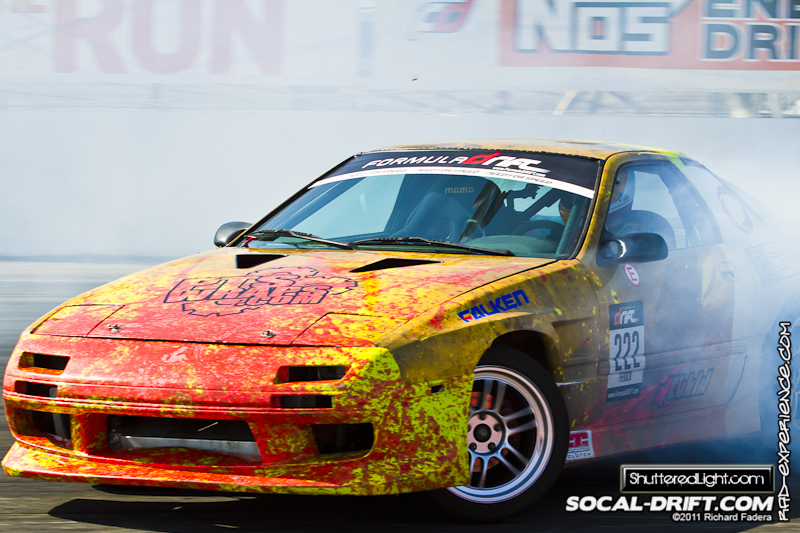 Nominated for Rookie of the Year - Walker Wilkerson in his Fatlace Nisssan S13. One of the few who are still running on a 4banger! Ken Gushi in his Need for Speed Scion TC. 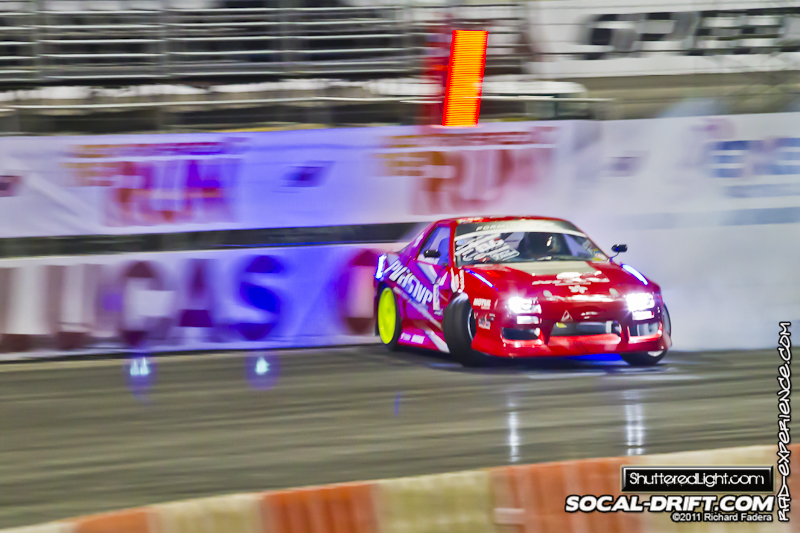 Series point leader Dai Yoshihara and his Discount Tire Nisssan S13. 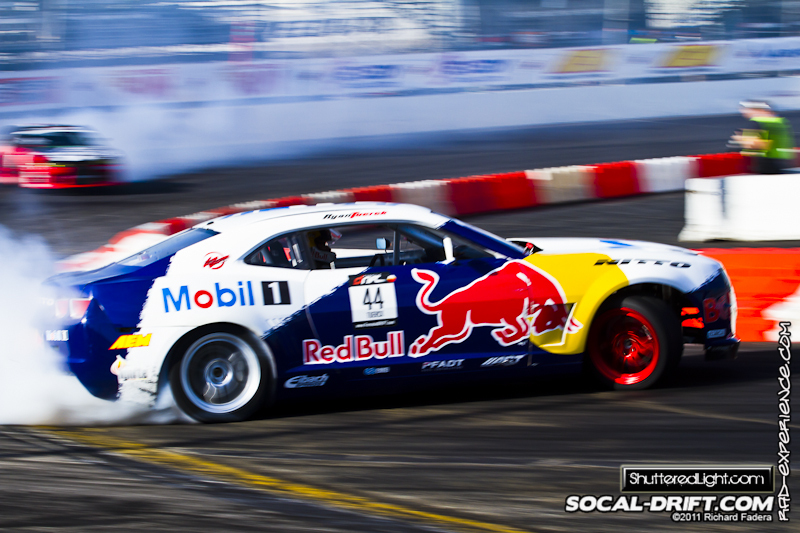 Ryan Tuerck and his Redbull Mobil 1 Dodge Charger. 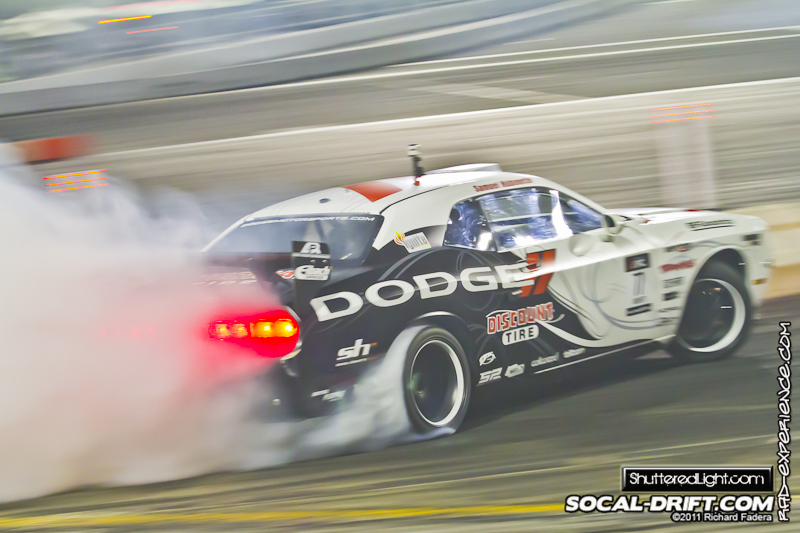 Matt Powers and his striped Need for Speed Nissan S14 drifting out of the smoke. 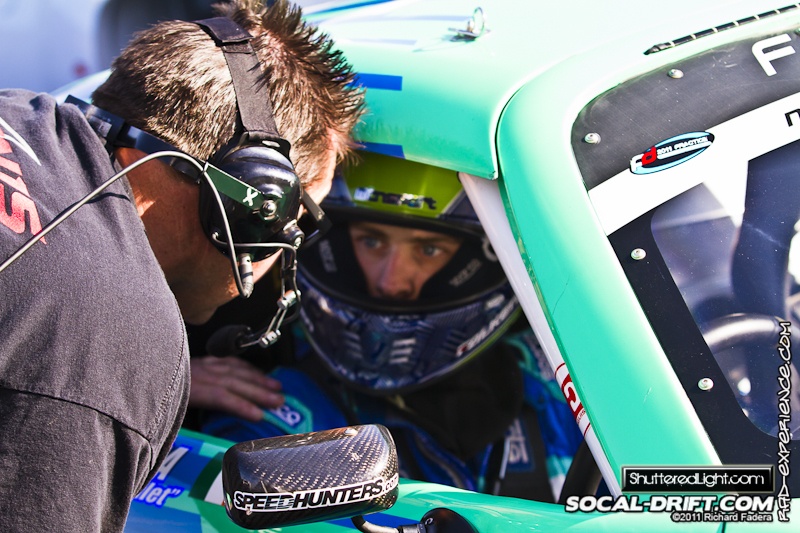 Drivers waiting for their 2nd qualifying run. Media getting in position for the 2nd runs. 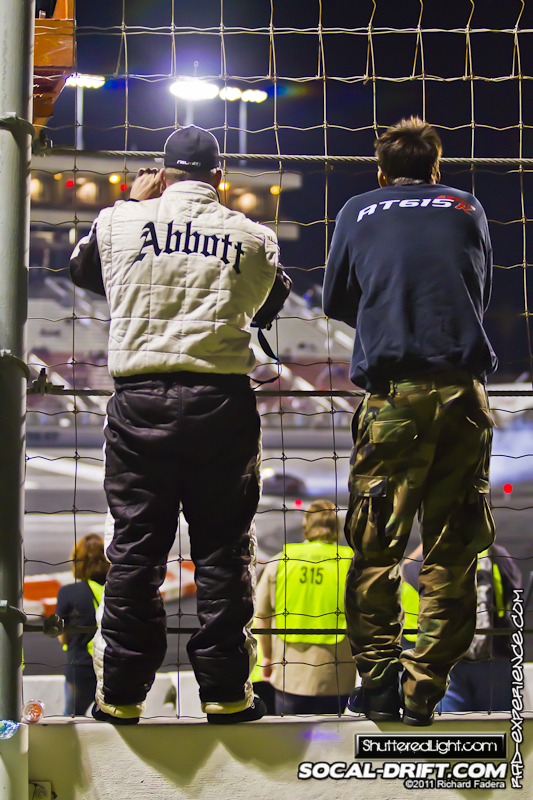 Jeff Abbott and his crew. 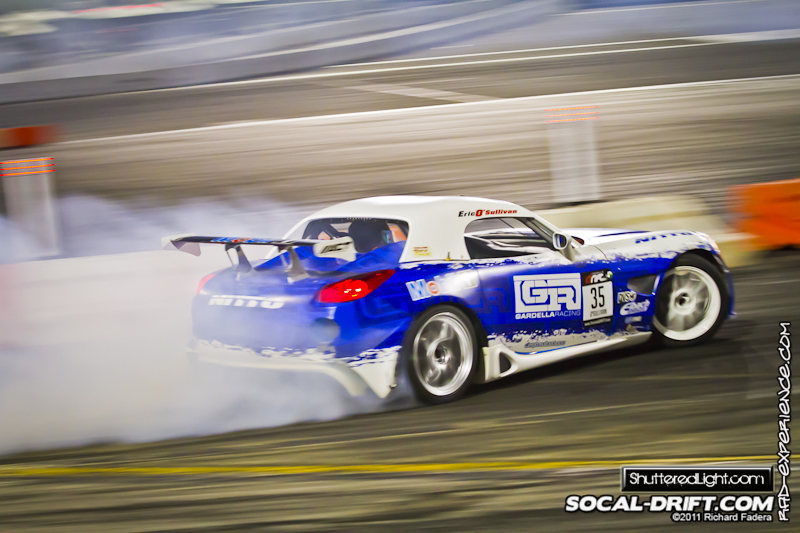 Michael Essa creating a lot of smoke in his BMW Z4. 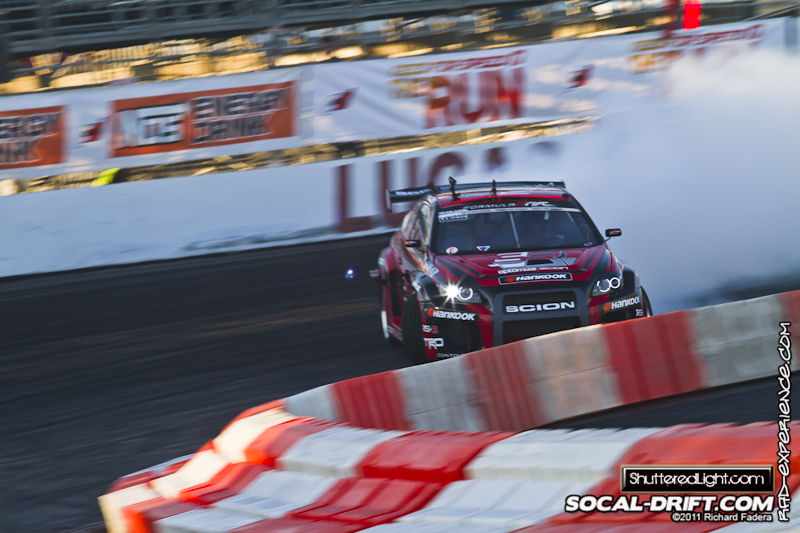 Scion Racing drifting the apex'. 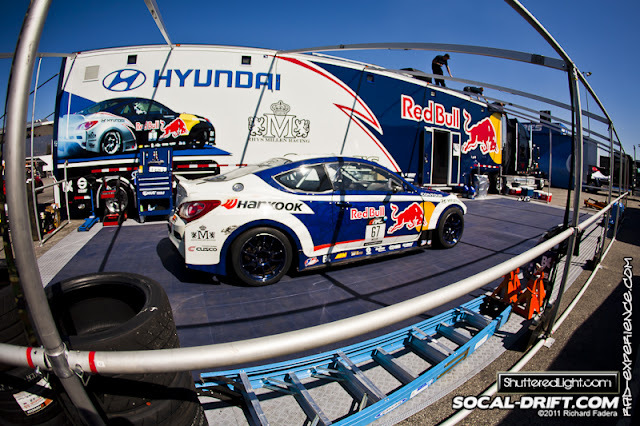 Rhys Millen drifting in his Redbull powered Hyundai Genesis. 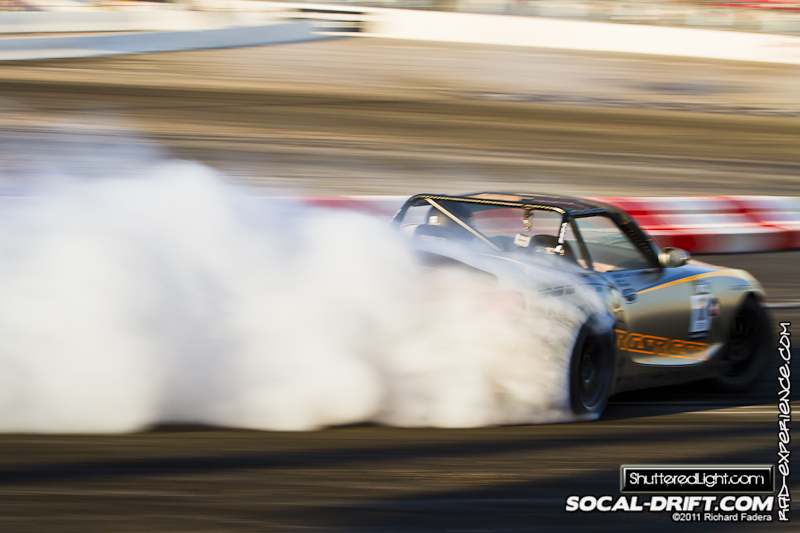 Jeff Abbott in his green mighty Miata. Robbie Nishida in his Nissan S13. Watching the the last few cars doing their 2nd qualifying run. Ryan Kado and his Nissan 350Z. 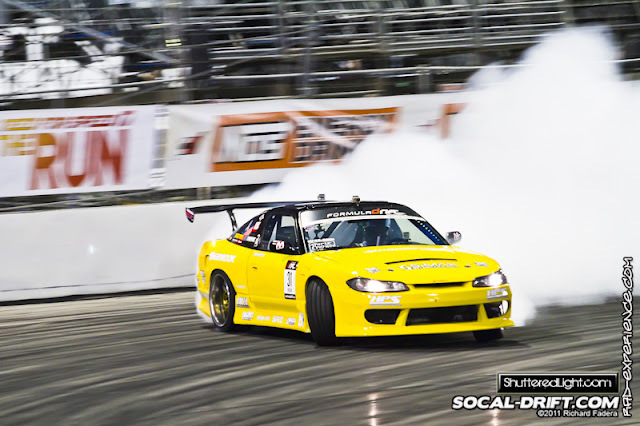 Ross Petty in his right hand drive Nissan S15. 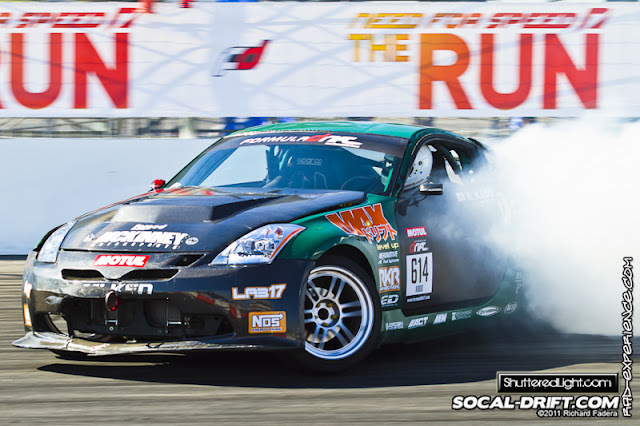 Nominated rookie of the year - Odi Backhis in his Forged Racing Nissan S14. That's it for day 1. 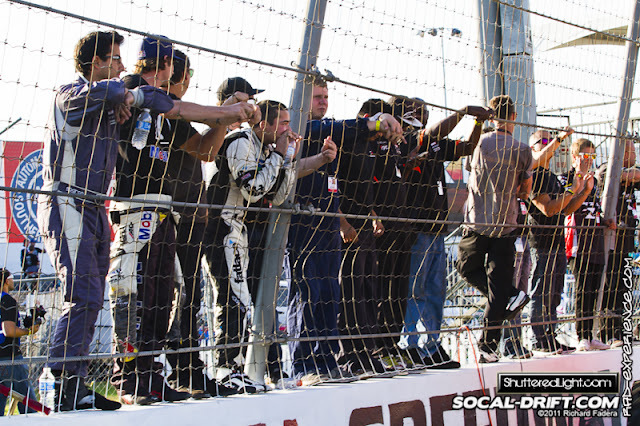 Everyone went all out and some of them went gangster to hit the wall and not make it to the top 32. 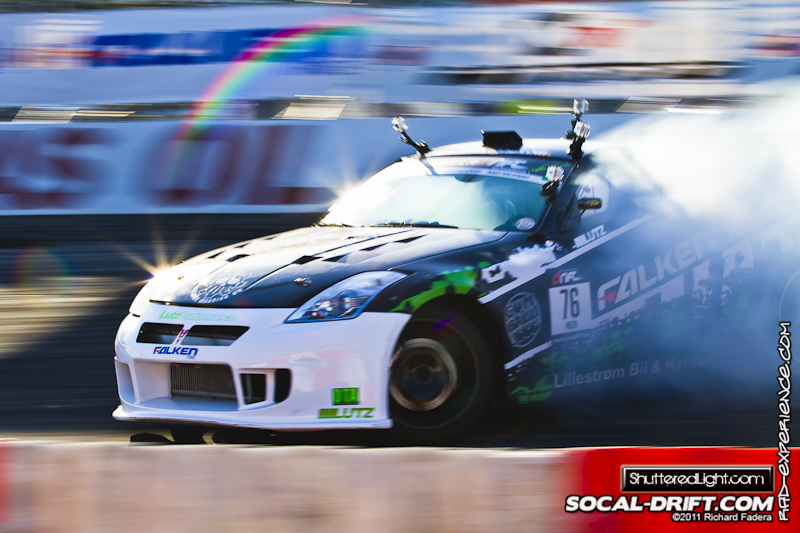 To see the full gallery, click this link or you can also visit www.socal-drift.com. 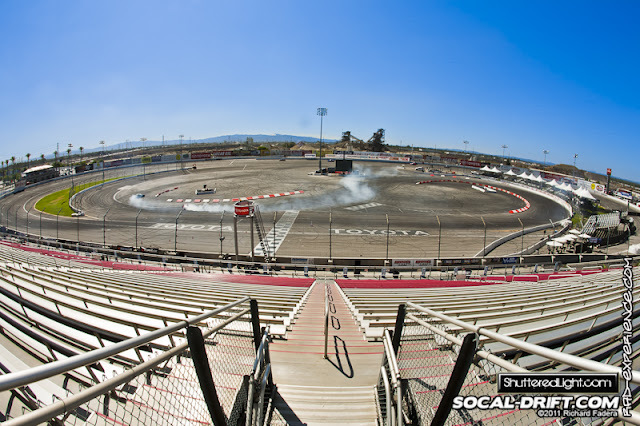 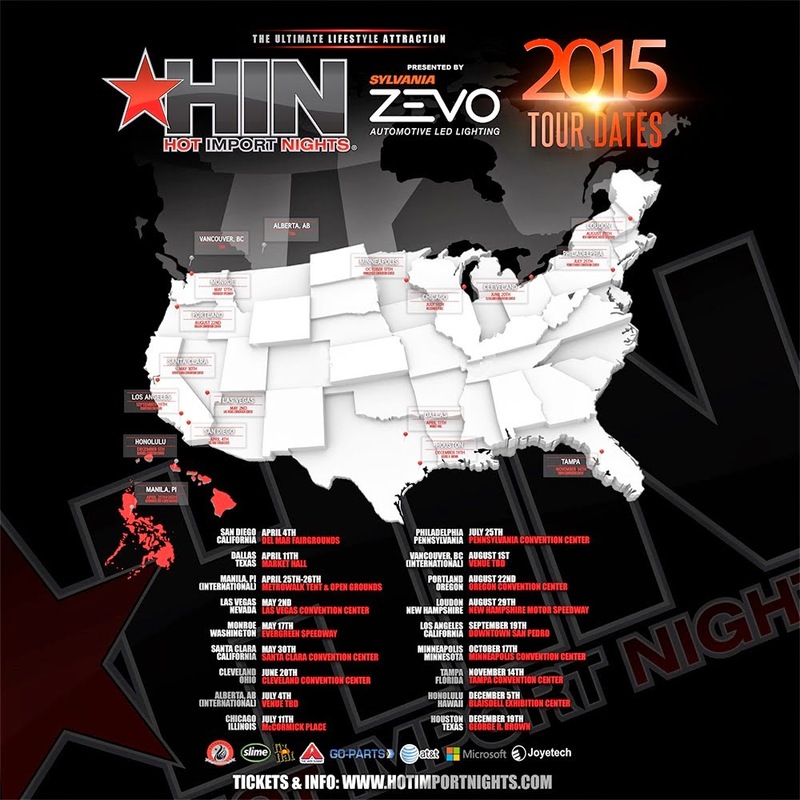 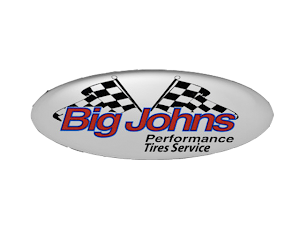 Next installment is the Saturday Main event. Thanks to Jeff Abbott and SoCal Drift for the hook ups.